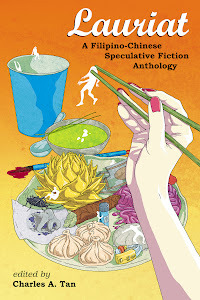 I didn't quite know what to expect from this anthology--although I was sold thanks to its stellar cast of contributing authors. Clockwork Phoenix is a title that gives a clockpunk impression and while there are stories that fit the 'punk bill, it's best to view this book as a collection of enjoyable fantasy and science fiction stories. Eighteen stories all in all and one element I found in common among all the stories is that they were comfortable to read, usually going for an elegant and minimalist writing style rather than verbose, choking paragraphs. A recurring theme of this anthology is that it attempts to evoke the reader's sense of wonder. Here are the top three stories that caught my attention: John Grant's "All The Little Gods We Are" utilizes various techniques to dissect our protagonist and he does an effective job at characterization. And while he uses an old science-fiction/fantasy trope, his execution is excellent and gives it his own twist in the end. Ekaterina Sedia's "There is A Monster Under Helen's Bed" delves into horror of various sorts but combines it with beautiful prose and even a wondrous scene or two. "Oblivion: A Journey" by Vandana Singh gives us a science-fiction mini-epic that while predictable, was an enjoyable read nonetheless as the author infuses it with Indian influences. Singh also manages to sustain our interest in her protagonist that made this lengthy piece a compelling read. If you're into fantasy or science fiction, Clockwork Phoenix is a decent anthology that's not too heavy and instead striking a balance between compelling fiction and accessibility. The selection of stories is actually quite consistent and even if you're not into the genre, this is a welcome read that'll hopefully strike an emotional chord in you. Engrish at the Local Burger King? Missed Free Comic Book Day? You Think Your Life Is Boring?